In a display of loving solidarity, thousands of Jews and Muslims rallied together to serve up some hot soup for the homeless. 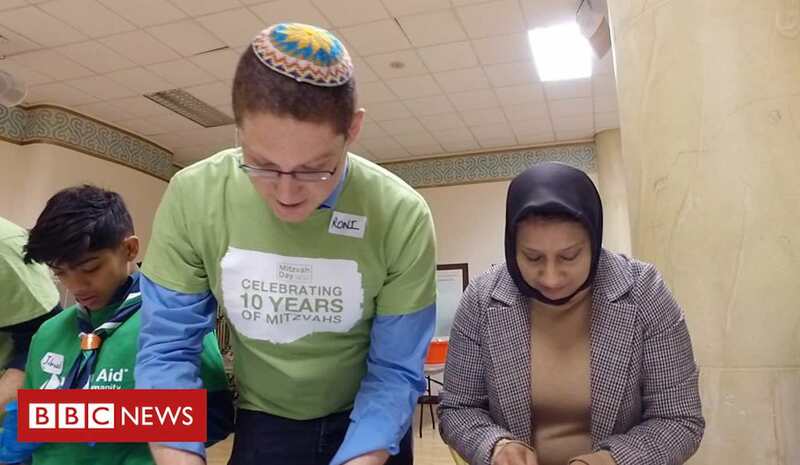 As a means of celebrating Mitzvah Day – a day of social action for people of different faiths – Jews and Muslims met up at the East London Mosque last week to make 1,000 bowls of chicken soup. Laura Marks, the founder and chair of Mitzvah Day, told The Guardian: “Mitzvah Day is about the common values that underlie both religions – the commitment to social action and social justice. For the soup, the organizers used halal chicken with a Jewish recipe in order to merge elements from both faiths – and they even made sure that some of the meals were made vegan. “The interfaith is the fabric of our society. It’s what makes our British communities communities so rich, so diverse, and so beautiful,” said Jehangir Malik, CEO of Muslim Aid. The “Chicken Soup Challenge” was not the only Mitzvah Day initiative taking place in Europe, either – according to the organizers, there were dozens of other compassionate interfaith campaigns for charity across Germany, Poland, Australia, South Africa, and the UK.